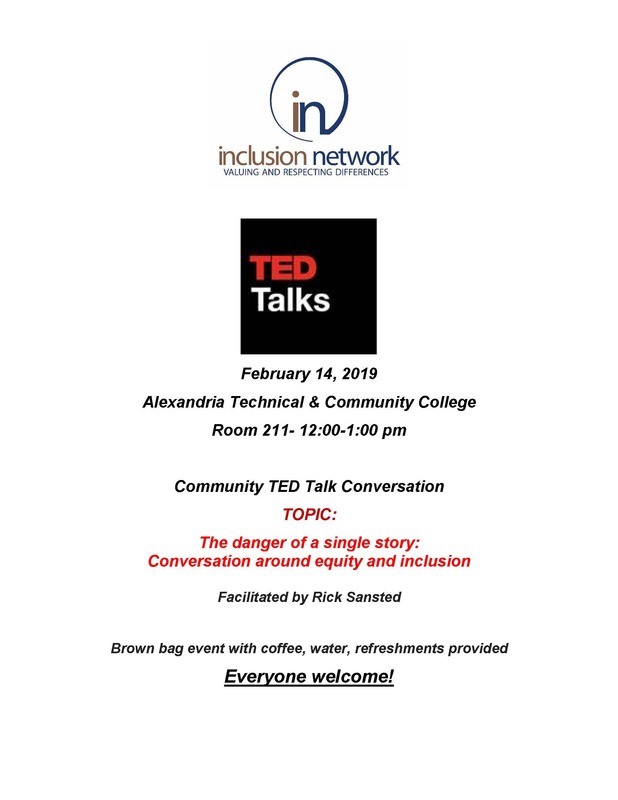 The Inclusion Network invites you to join us for the February Community TED Talk Conversation. The topic will be “The danger of a single story: conversation around equity and inclusion.” This event is free and open to the community. 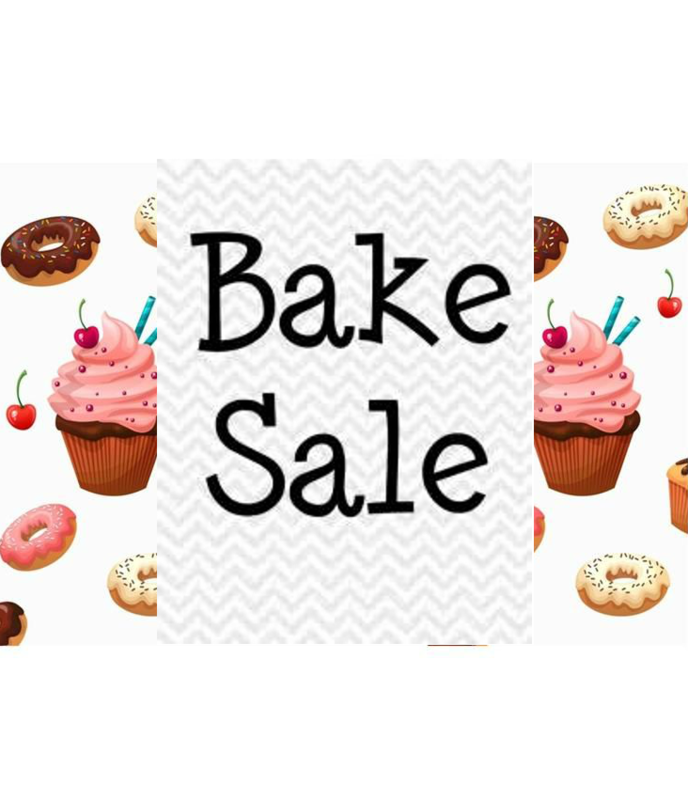 It will be held on Thursday, February 14, 2019 – 12:00-1:00 p.m. in Room 211 at ALEXANDRIA TECHNICAL & COMMUNITY COLLEGE. Feel free to bring your lunch. 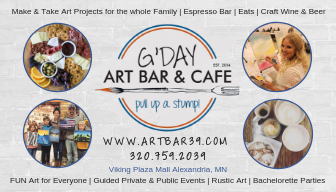 Coffee, water and cookies will be provided.